Pick The Right Boy Age Group Below First. 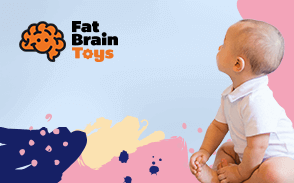 Choosing the most appropriate kind of toys and gift ideas for boys require an understanding of their unique developmental needs. While their cognitive, emotional, language and speech, and social development are almost the same with girls of their age, boys will generally have more pronounced physical development especially their strength, stamina, balance, and coordination. Of particular importance is their ability to integrate progressively complex cognitive processes, especially their imagination and creativity, in their physical development. In providing you with a comprehensive list of the top and most amazing gift items and toys for boys, we carefully examined each of these products to fit the developmental needs of boys at any given age. We had to make sure that the different features integrated or built into these products are able to provide the developmental benefit that we expect from them. Safety is also a very important concern for us. While young boys may already have a rudimentary understanding of what is safe and not safe, there are certain aspects of product manufacture that have serious safety implications. Children won’t be able to understand these, but we do. You can trust our lists of the best boys’ toys and gift ideas to help you make a better informed decision regarding the purchase of such items. You can feel more confident that all of the products we’ve listed in our collection are safe, of the highest possible quality, fun to use and play with, and developmentally appropriate for your growing boys.